I am so happy to be sharing this new quilt with you. 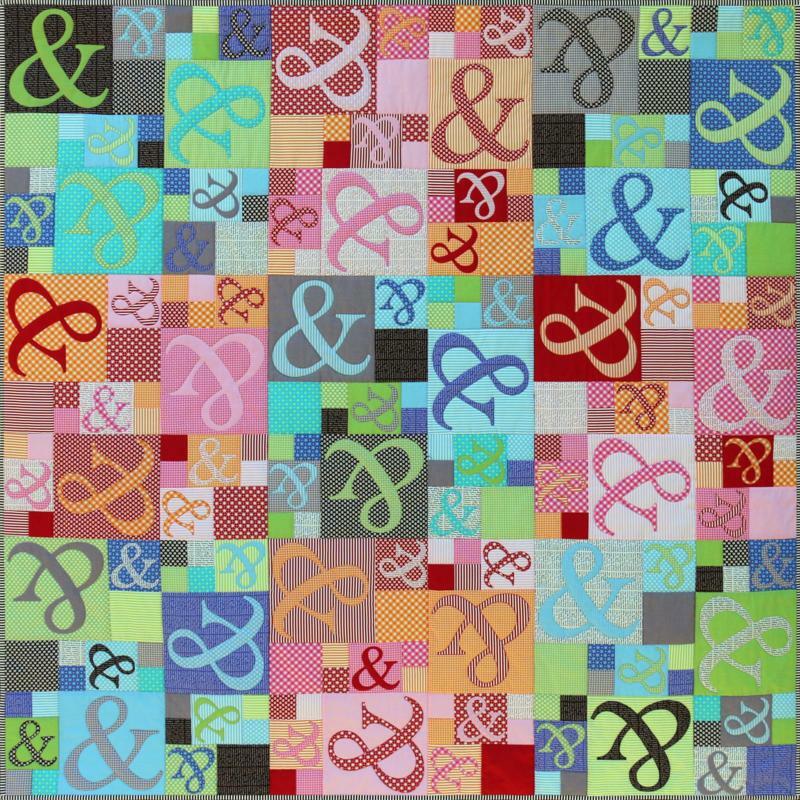 The Ampersand Quilt has quickly become a favourite of mine featuring the & sign with raw edge applique. I used the gorgeous range of basics fabrics from Ella Blue Fabrics. The inspiration for this quilt came from the lovely Janelle Wind. All the Ampersands were cut out by hand but there is a template set from Creative Abundance that makes tracing them out so much easier. All the Ampersands were appliqued using the wonderfull Aurifil Threads.